Staff Outsourcing is among the highest rated outsourced call-centers in the world. We have four decades of expertise, delivering top quality, high-contact solutions for a wide variety of customers. Our corporate headquarters stationed in the US, with our main BPO offices located in the Philippines. Our dedicated representatives hold your business with a high level of expectations that will result in greater client service scores (NPS), better conversions, and greater ROI. In your hunt for a call center outsourcing partner; you’ve got numerous suppliers to pick from. Whether you are working with a consultant or researching a company yourself, you are factoring in all the important standards: experience, price, quality, support, versatility, scalability, engineering and tradition. You’ll need a partner that provides worth with a proven track record. Our emphasis on quality treats every business like it was our own. Our dedicated reps will improve your earnings, sales, and retention rate of clients. In the end, you achieve the highest customer satisfaction rating and greater sales. That is our core focus, and we do it better while keeping it more cost-efficiently than other outsourcing companies. According to a CEI survey, only 1% of customers meet their expectations consistently, and 86% would be willing to pay more for higher service. Staff Outsourcing is a fantastic option for call center outsourcing solutions. Staff Outsourcing can supply customer care solutions customized to the companies’ needs. We’re a seasoned firm with the experience you need and desire. With more than 40 years operating with both directly to customers and businesses, we understand what it takes to run every department. Our personnel are well-trained to supply the greatest client satisfaction and will help handling increased demand of business, producing a high level of ROI, and reducing customer grievances. Two percent (2%) increase in customer retention is equal to 10% decrease in cost, with so much at stake, why leave it on the table? Staff Outsourcing is a pacesetter in providing call center outsourcing services to companies in various sectors. We’ve got the expertise to supply academic organizations, health care organizations, government entities, utility businesses, Ecommerce, Tech support and more. Staff Outsourcing workers ensure hard work to reach long lasting relationships with your clients. We work with your company to supply quality customer solutions and to develop productive client relations. Our aim will be to supply exceptional customer support to businesses while helping them connect with their clients. One on one communication with clients can help organizations and companies in various marketplaces shine. When businesses pick Staff Outsourcing as their call center outsourcing company they could find increasing ROI and improved client loyalty. The Philippines previously gained 20% of the overall world market share in Call center outsourcing solutions. This sector is also the quickest-growing occupation supplier for Filipino school graduates. Philippines is ranked as the highest English speaking country in SEA, with a strong western culture. Clients can clearly understand and communicate with all of the representatives as if they were speaking to someone within any western country. You can listen to some examples of our representatives here. Please see our full list of other services we can offer your company. 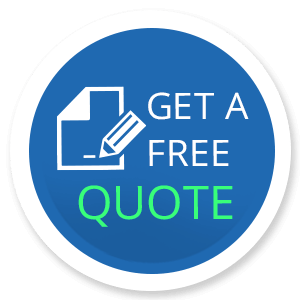 Contact us today for a free quote, no request will be too small!